This became my goal for BeBop. Nobody likes a neck that’s constantly on the move. I implement a steel dual action trussrod and carbon fibre reinforcements into each neck. This creates stability and allows for comfortable neck adjustments, as well as easy future servicing. 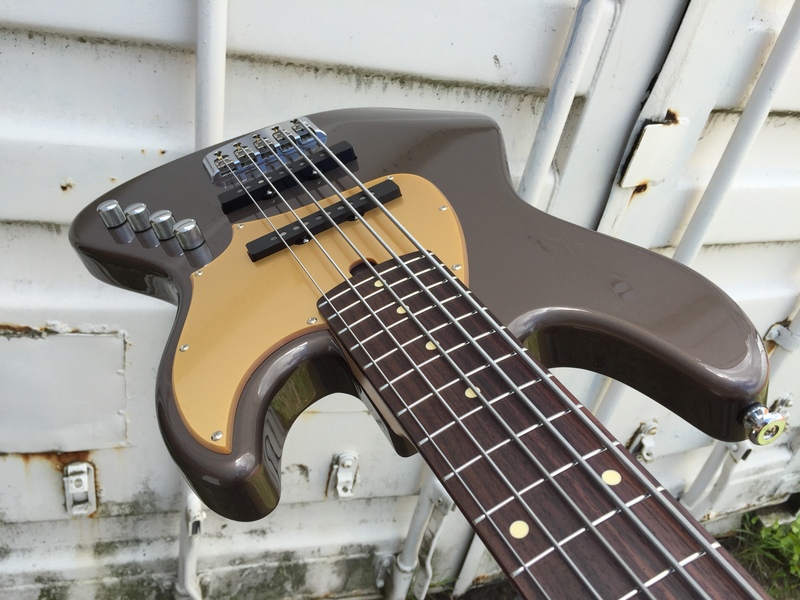 This neck is designed to last. Lightweight tuners help to eliminate the neckdive caused by heavy tuners. 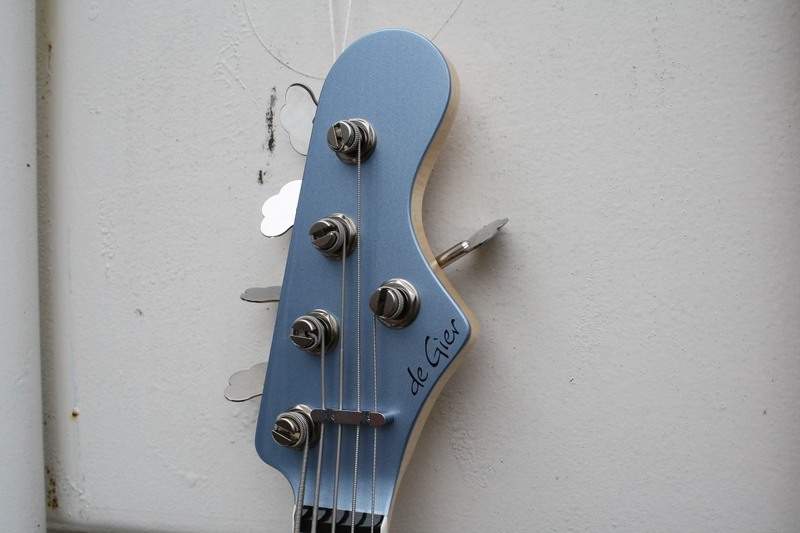 However, the mass of heavy tuners does add to tone, but a thicker headstock does the same thing. So on BeBop you have both goodies: light weight, balanced, and enhanced tone. I use a fairly unique method for creating fretslots. You can learn more in this video. In short: I found a way to make use of the inner strenght of the wood instead of cutting it away. That enhances stability, it also prevents fretends from sticking out over time. It’s also quite elegant. 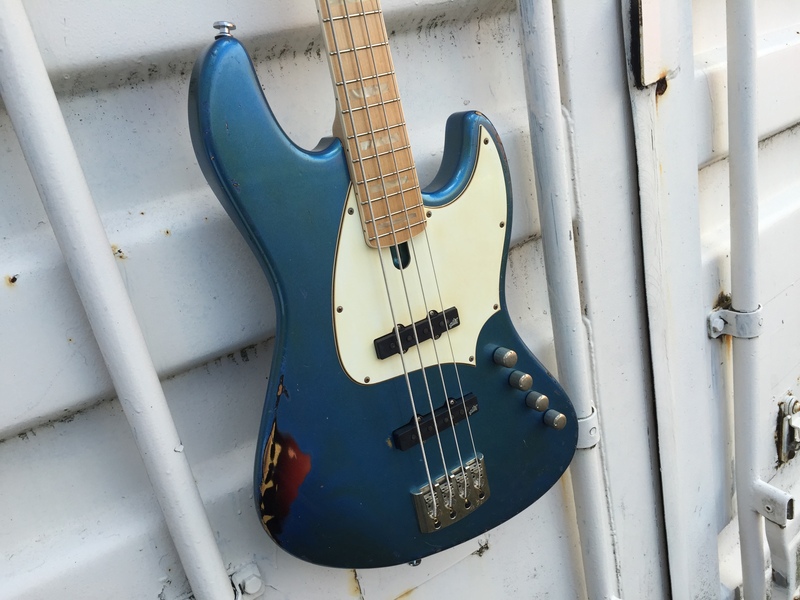 Many vintage basses have small frets. They play so easy, it’s almost as if you play better. But if they wear down, you can’t level them anymore, you need a refret. 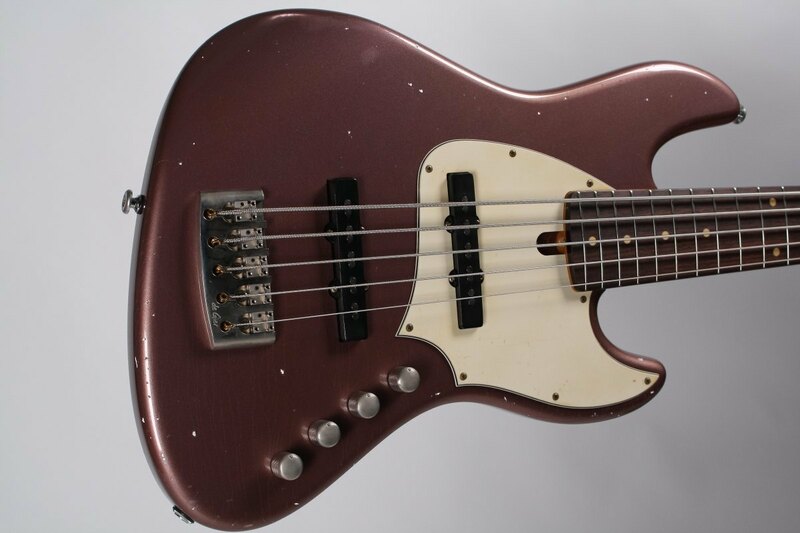 On Soulmate I use small vintage frets, but made from a harder nickel silver alloy. They last. The curvature of a vintage fingerboard is often a 7.25” radius. 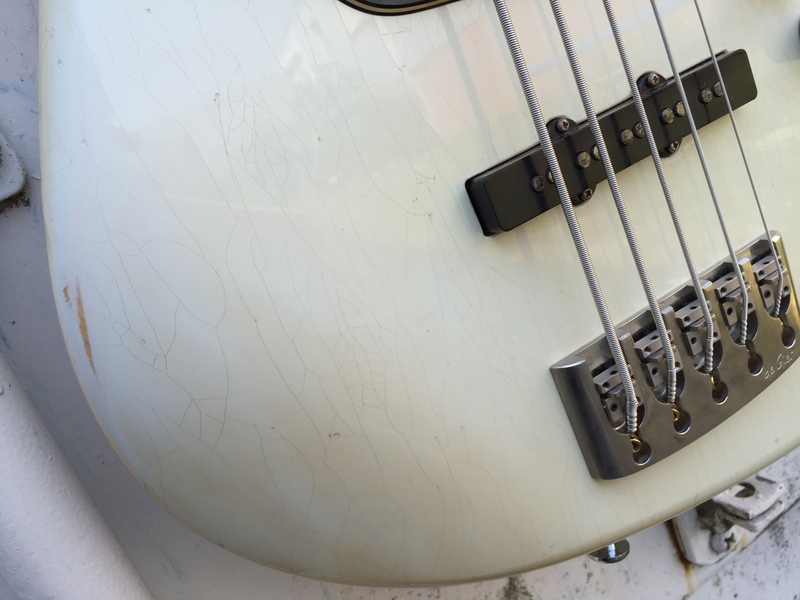 While it plays great, the disadvantage is that the strings are in the same radius while pickup poles are flat. So outer strings are often louder than inner strings because they are closer to the pickup. That’s why I have chosen a compound radius of 7.25” to 12”. A compound radius also allows for a lower action. And if you don’t prefer a low action, no problem… I’ll be happy to set it up higher for you. When you use true single coils, like we use on BeBop, you introduce hum. It’s inevitable. Some choose humcancelling pickups, but to my ears they always seems to miss some magic. Therefore I went out on a shielding mission. 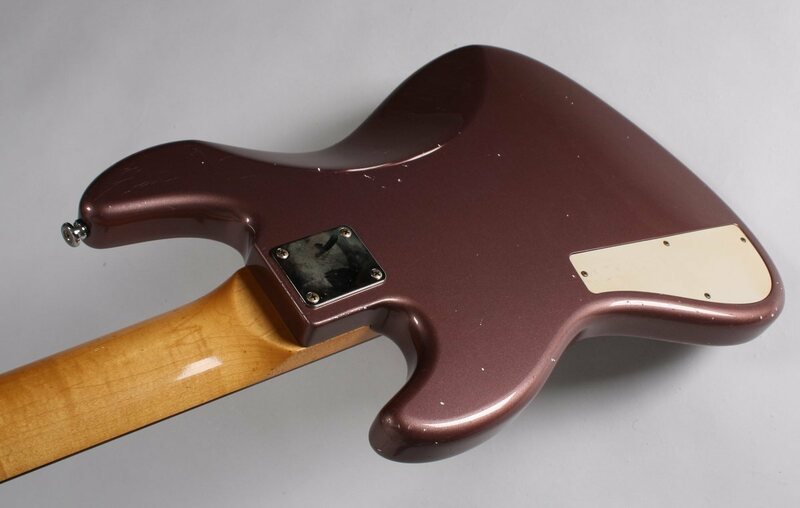 The control cavity is shielded with thick copperfoil, the pickup poles get grounded and the whole pickguard is grounded to eliminate electrostatic noise. It’s as quiet as possible while still giving you true single coil tone. The BeBop’s electronics are a blend of tradition and innovation. 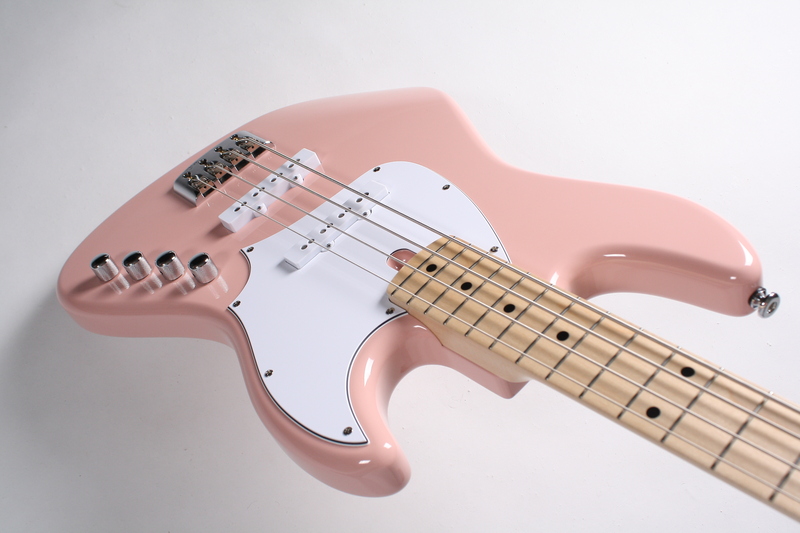 It is uses traditional passive single coil pickups. The first 3 knobs are Vol, Vol, Tone, as you might expect. Tone is a pushpull potentiometer, changing capacitors when you switch. This gives you vintage or modern treble roll off. 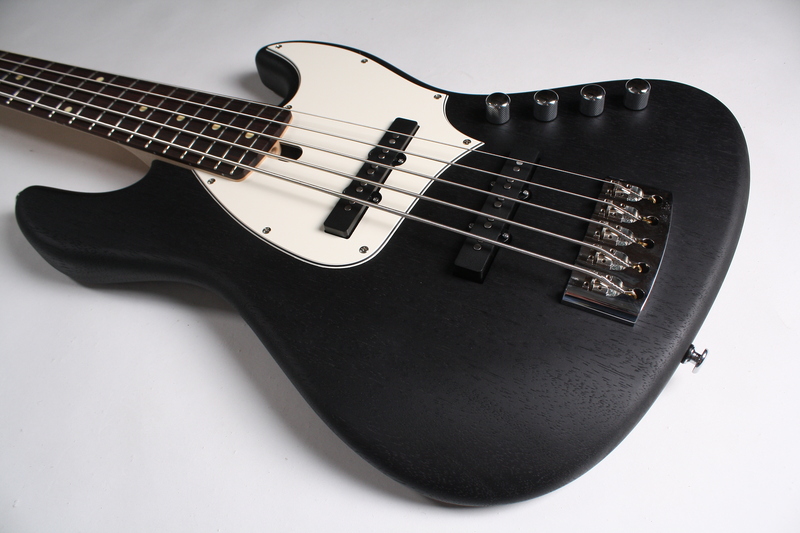 Vintage (pull) is great to use on the bridge pickup, fully closed, for that typical mid-hump, Jaco-sound. Modern (push) is great for any slight reduction of high freq’s. See this video. The 4rth knob is our unique Fatboost. It is a switch that activates a low frequency boost. It’s factory-preset to be very subtle, but you can adjust an internal trimmer in the rear cavity if you want to give it more gain. With these 4 controls you can get anything from dark vintage to beefy modern sounds. 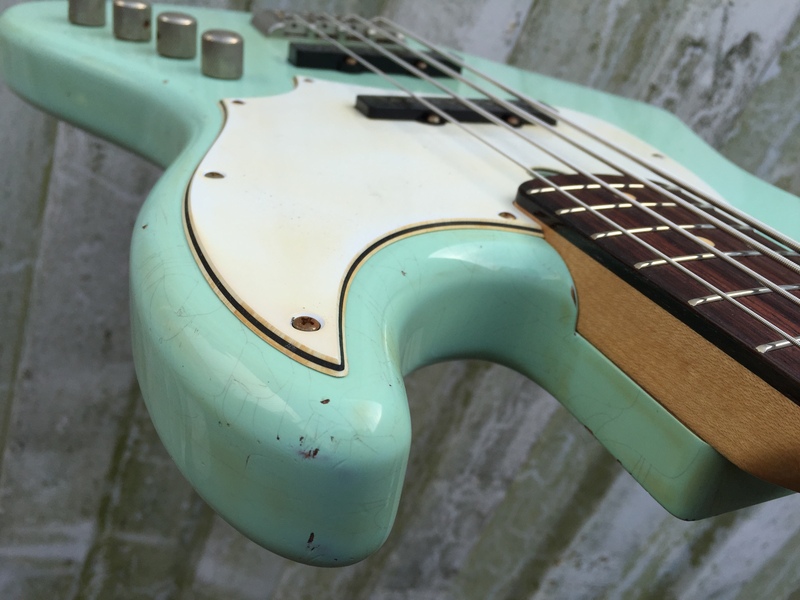 De BeBop geeft hierdoor veel Jazz Bass-kopieën het nakijken. Das hier ist weit mehr als nur ein “guter Allrounder”. C’est un Monsieur. 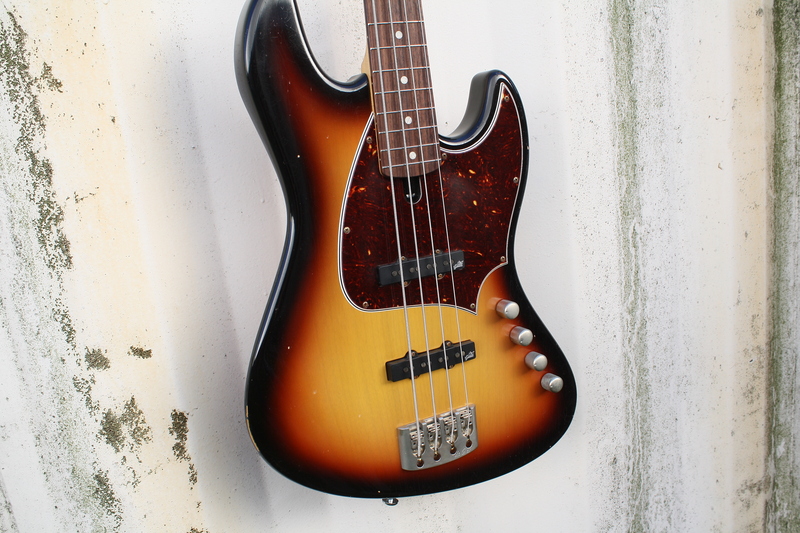 Jazz Bass mit mehr Pixels. Uiteindelijk is de De Gier de mooist gebouwde en best klinkende van de twee. Je voelt de liefde en het hoogstaande handwerk. De BeBop klinkt simpelweg zoals een top-Jazz zou moeten klinken, en dat is voor ons toch de doorslaggevende factor. The BeBop can be configured online. Choose woods, colours, pickups and a lot more in our order form. After submitting this form, you will receive an email with a confirmation and payment details within 24 hours (workdays). Color All traditional solid colors available. For sunburst and metallics see custom options. Fatboost The De Gier/Vanderkley Fatboost is an active but subtle bass boost. It is designed to keep the sound as close as possible to the original passive sound. The boost is activated by a switch and gives you a maximum of 9dB boost of low frequencies. (We set it at about 4dB standard). It is ultra low noise. The result is as if your passive sound grew up intstantly. In the off position it is true bypass for a 100% passive sound.